Dr. Gail Saltz on the pressures of being a mental health professional. Gail Saltz: I do check my phone first thing in the morning for any breaking news that may have an important mental health aspect because much of my work relates to explaining mental health phenomena. I also check the weather to see what my day has in store. GS: I am energized by learning new things. I get excited while reading and preparing for a project I may be working on and feel energized by the acquisition of knowledge as well as the communicating of that knowledge to others who will hopefully find it useful and interesting in their lives. I also find actual problem solving to give me a boost, identifying a problem and coming up with possible solutions. I also love my morning cup of coffee! GS: When faced with interpersonal tensions, I really sit down and imagine being and feeling like the other person. This attempt to truly “try them on for size” often helps me to feel less distressed and approach the problem with improved perspective. GS: Running With Scissors by Augustine Bouroughs, which really demonstrated how extremely dysfunctional family life can be and still allow for the human resilience to grow and prosper. GS: I keep my phone on my nightstand, but on silent for all but calls, so if there is truly an emergency from family for example, I can be reached. I do not look at my phone at night nor the hour before I go to bed so as to relax and disengage for sleep. During the day, I do check often for breaking news. I text not infrequently with my three children and my husband….just staying in touch or working out logistics. GS: I check email multiple times per day, not at night. I try to answer quickly if possible and sit in the afternoon for longer replies. I have a probably terrible tendency to never delete emails because I think I may need to go back to one…..hence I have zillions of stored emails. GS: 15 minutes might not register as an extra in my day…. but when I have a break in the action is often when I try to eat or drink water (which I really have to work at because I rarely feel thirsty). If I have extra time I also do try to get an extra walk in, perhaps by walking to my next destination as opposed to car or train. I like walking and it’s a way of sneaking in a healthier life style. GS: Holidays are a time I’m more likely to feel burned out, because I’m trying to make a really nice holiday for my family in addition to the usual work and family stuff. This can put me over the top sometimes and feeling fried. I know it will pass and I know I may not get everything done and I try to be ok with that. GS: When I am struggling with my own anxiety, I have a tendency to feel failed because my job includes helping others with their anxiety. When you are the expert, you feel like it’s a failure to have a problem related to your expertise. I try to remind myself that cardiologists sometimes have heart problems and oncologists get cancer. I continue to add to my own toolbox for managing anxiety, looking to newer and newer methods available for use. GS: “You’ve gotta dance like there’s nobody watching. Love like you’ll never be hurt, sing like there’s nobody listening, and live like it’s heaven on earth,” by William Purkey. 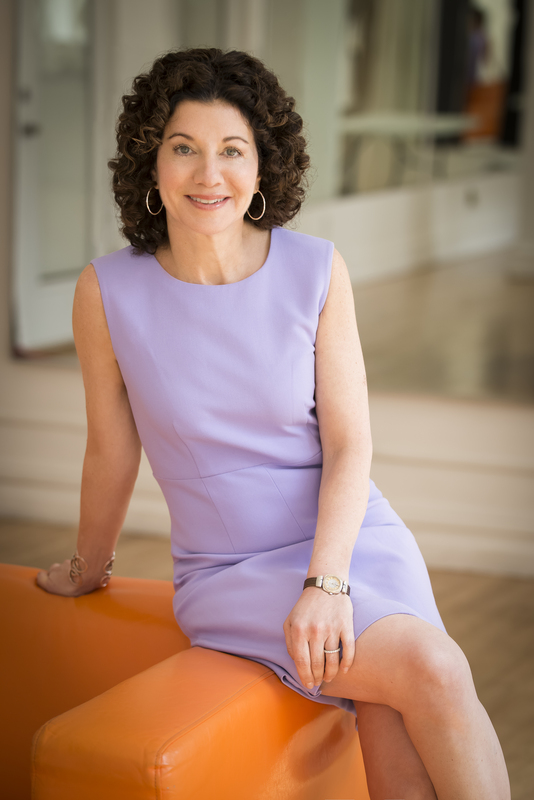 Dr. Saltz is best known for her work as a relationship, family, parenting, emotional wellbeing, and mental health and wellness contributor in the media. She is a bestselling author of numerous books including her most recent, The Power of Different: The Link Between Disorder and Genius, and the go-to expert on a variety of important psychological issues particularly those pertaining to breaking and current issues and news. Dr. Saltz is an Associate Professor of Psychiatry at the NY Presbyterian Hospital Weill-Cornell School of medicine, a psychoanalyst with the New York Psychoanalytic Institute and has a private practice in New York City.